The Federal Government is set to confiscate 2,000 properties in the Federal Capital Territory belonging to some firms following their failure to disclose their assets under the Voluntary Assets and Income Declaration Scheme. The Chairman of Federal Inland Revenue Service, Babatunde Fowler, disclosed that the properties had been identified, adding that the FIRS planned to secure court orders to sell them off. “We will sell off the 2,000 properties and give the companies the change after deducting what belong to the government as tax,” he said at a media workshop on VAIDS held by the FIRS on Thursday in Abuja. Fowler noted that the defaulting companies would also be penalised for withholding the tax due to the government, stating that about N17bn had been paid by 10 firms since the introduction of VAIDS in July this year. He stated that many more corporate organisations were expected to comply with VAIDS before the nine months’ grace period expires in March next year. 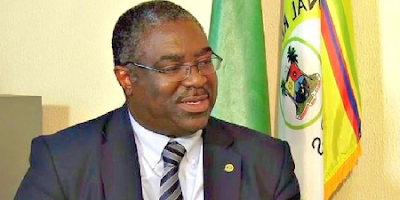 The FIRS chairman explained that his agency was currently reviewing all properties owned by corporate organisations in the country with a view to capturing them in the tax net and getting their owners to pay the mandatory tax on them.